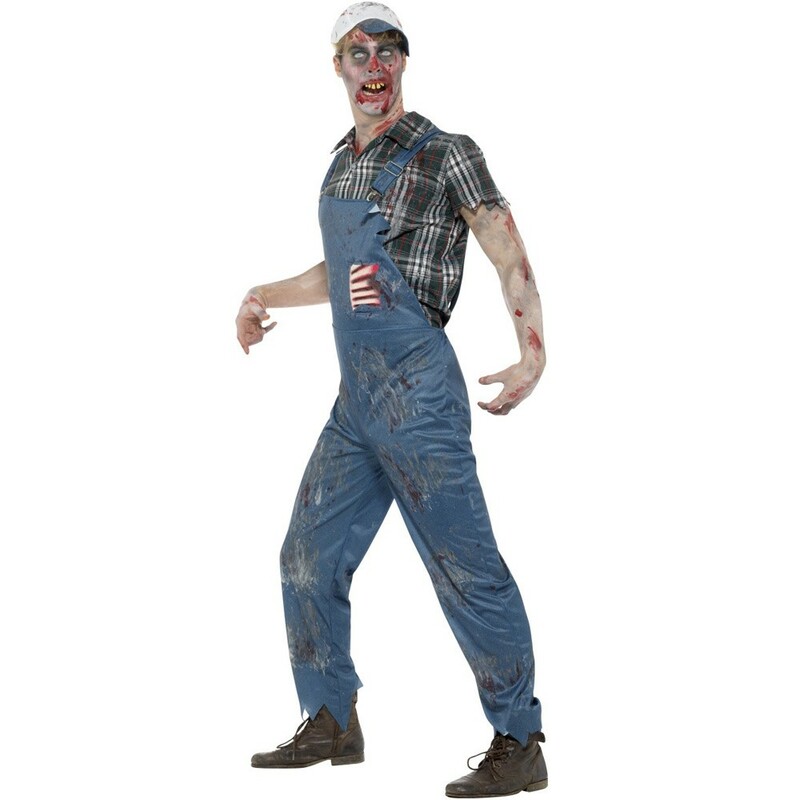 Male Zombie Hillbilly dungarees with shirt and baseball cap, ideal for a unique zombified look this Halloween! 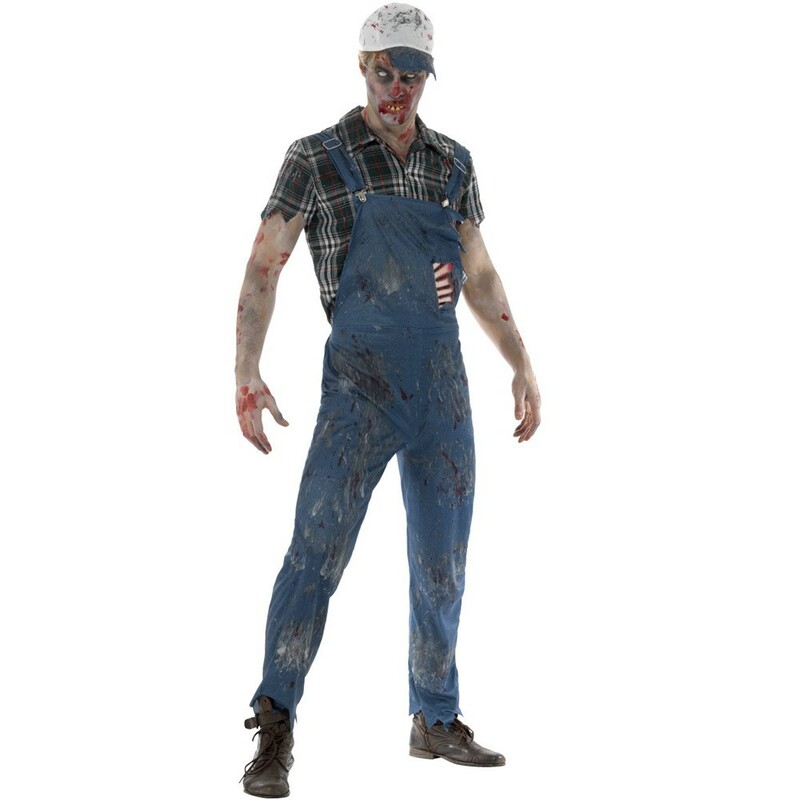 This greatmen’s Zombie Hillbilly outfit is perfect for your night out. The Denim effect dungarees with the attached latex ribs showing gives that little bit of gore that people strive for at Halloween! 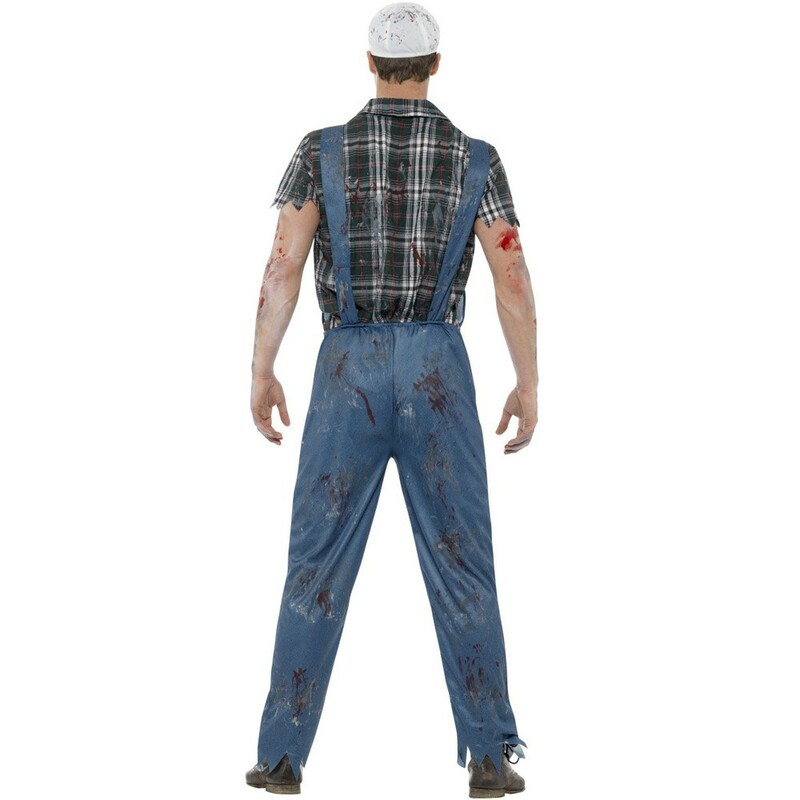 This men’s Zombie Hillbilly costume is perfectly finished off with its checked shirt and baseball cap and with its jagged edged hemlines and splattered blood this Zombie Hillbilly outfit has to be the ultimate costume for Halloween! Why not get the ladies version of this Zombie Hillbilly outfit and turn up at the party as a good ole redneck couple? Dungarees with attached Latex Ribs, Shirt and Baseball Cap.